Since wine spoils quickly if exposed to the air, wine-makers through the ages began using corks to seal their wine in a vessel. In the 1700’s, when glass bottles became the wine container of choice, corks were used to seal the wine in the bottle and the typical “T” shaped cork screws were invented. Until about 20 years ago natural corks were thought to be the only option for a proper wine bottle closure. 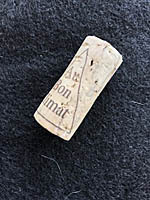 However, modern technology has brought forth numerous other seals including screw caps and synthetic or artificial corks, all of which raise questions over the traditional natural cork stopper. With this long history why are there so many cork alternatives being use on wine bottles. One of the primary reasons is “cork taint” or TCA (2,4,6-trichloroanisole). TCA is a chemical that leeches out of a natural cork into the wine and gives it a mustiness, often compared to wet cardboard, or when it occurs in smaller amounts covers up the wine’s fruit flavors. “Corked” wine, as it’s called, won’t hurt you, but it’s probably going to discourage buying another bottle of that wine. 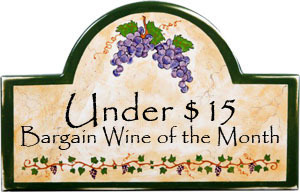 TCA-tainted wine is estimated to occur in as many as five out of 100 bottles. That doesn’t seem like a lot until you’re paying for those five bottles or it was an expensive wine that you were having for a special occasion. So, don’t write off wines with synthetic corks, screw caps or high-tech closures. Modern improvements have made some of them capable of emulating the best qualities of natural cork. Following are brief descriptions of seven common methods of “corking” a bottle of wine. Natural cork: Cork oak trees (Quercus suber) are very long-lived, many living hundreds of years, and grow best in the dry sunny climate of Portugal and Spain. Harvesting the cork bark begins when the trees are about 20 years old and occurs every 10-12 years after that. Corks used for wine bottles are usually not made until the third harvest and become higher quality with each successive harvest, thus the best and highest quality wine bottle corks come from trees hundreds of years old. The soft woody bark from cork oak trees is about 89% air, has a unique honeycombed cell structure, a lightness, compressibility and elasticity along with non-permeability that makes it and exceptional material to seal wine in the bottle. 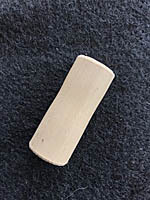 Poor quality cork contains soft spongy wood that has grown to quickly and can be identified by its lack of growth rings showing each years growth layer. To make the cork stoppers we know today, slices of cork bark are boiled to sterilize it and remove impurities, dried until it reachs the optimum texture and than punched into the familiar round shape. After being cut, the corks are once again washed, cleaned, sterilized and dried. Some corks are lightly coated with wax to ensure a better seal with the bottle. A typical natural cork will let in about one milligram of oxygen per year. This is a very tiny amount, but after two or three years, the cumulative quantity can be enough to break down the sulfites that winemakers add to protect the wine from oxidation. This small amount of air is perfect for helping age-worthy wines develop their complexities while the tannins are softening. However, a small fraction of natural corks end up tainting the wine with moldy smelling TCA and this has resulted in the use of the many non-cork material closures in use today. 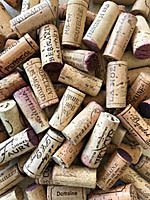 Reconstructed corks: Natural cork can also be ground into small particles and with the addition of a glue-like material be formed into “cork” looking stoppers. However, these products are also just as unreliable as natural corks and have similar propensity to cause cork taint. The crumbled cork material still has the benefits of the honeycomb structure and is mostly used to make reconstructed or composite corks that are used in most sparkling wine bottles. Because they are mostly made with left-over cork material during the manufacture of natural corks they are low in cost, but also commonly associated with less-expensive wines. Plastic and Synthetic Corks: Plastic corks are made from made from plastics to plant-based polymers such as polyethylene…the same material used to make milk bottles. Tests have shown these corks perform nearly as well as the natural version with several exceptions: they have no TCA taint, they let in a bit more oxygen and they are very consistent in oxygen transmission. Their consistency is a major selling point to winemakers because the wine will have a predictable taste at various points in time. In fact, winemakers can tweak the oxidation rate of their wine by choosing from a range of synthetic corks with different rates of known oxygen transmission. Synthetic corks, such as the Nomacorc closure is made from from sustainable, renewable sugarcane-based polymers and have a look and feel very similar to a natural cork. Because the synthetic and plastic corks can allow air to integrate at a faster pace than natural corks, some winemakers actually prefer them. In fact, that has become part of the selling point as the corks can be selected that allow for a more or less rapid transmission of air into the wine, based on the tightness of seal. Synthetic and plastic corks are generally the lowest cost closure and require the least precision of the corking machines. Screw cap Screw caps have only been used in the wine industry since 1960’s, but they are rapidly become a large percent of bottle seals. In Australia for example, screw caps are used on nearly every bottle of wine produced in the country. Screw caps used on wine bottles are actually composed of two parts, the metal cap and a liner inside the top of the cap that seals to the lip of the bottle and controls the amount of oxygen getting into the wine. Years ago when screw caps were only used on jug wine, there were only limited types of liners available. But, today winemakers can select screw caps that offer a specific rate of oxygen transmission that’s best for each kind of wine. 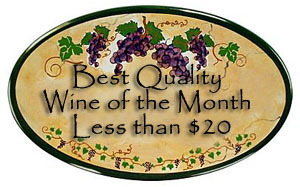 Generally screw cap liners admit either more or less oxygen than high quality natural corks. 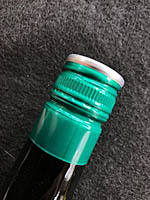 The major advantage of screw caps is that they are low in cost, very consistent, prevent TCA taint, easy to open and eliminate broken cork bits floating in the class of wine. With that said the ritual of uncorking a bottle of wine is part of the whole wine drinking experience that gets completely missed when it’s simply a twist of the wrist!!! Glass Stopper: Glass is an hermetic material, thus zero oxygen can pass through it and the wines don’t breath. Some producers, mostly in Europe, have embraced glass closures from Vino Seal. The Vino Seal is a glass stopper that creates an air-tight seal. The closure eliminates the risk of TCA tainted wine, has no effect on the aromas of the wine, prevents further development of the wine after bottling, and establishes a stable and leak-proof long-term environment for the bottled wine. 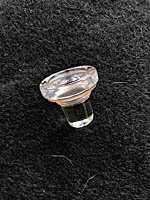 Because of these attributes glass stoppers are not used for wines that require bottle age to develop. This coupled with the high cost has prevented the glass stopper from gaining wide acceptance. Crown Cap or Bottle Cap: The traditional bottle cap that has been used on beer and soda bottles for many years has also found its way to a lesser extent onto wine bottles. Today we find crown caps primarily on sparkling wines. 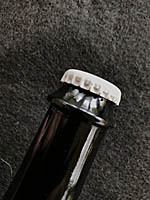 The caps are removed with a traditional bottle opener and are about as quick and easy to open as a screw cap. Because of the widespread use of these caps on other beverages bottles their cost is low and their tight seal very dependable. At this point they appear to be more of a novelty than a break-through in wine bottle corks. Ardea Seal: Last on the list is the Ardea Seal, a truly high-tech option for sealing a bottle of wine. 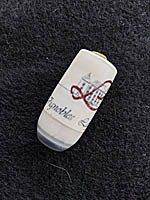 Although not as common as the other closures these state-of-the-art “corks” are commonly found on a wide range of wines and cost about half the price of high quality natural corks. These stoppers, composed of technopolymers are made up of three components: the chassis or skeleton that is a stiff tubular support, the shield or bottom component that comes in contact with the wine and the body which is the soft outside layer that is in contact with the bottle and the inside core that receives the corkscrew. 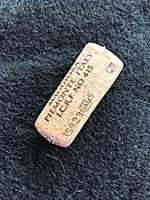 The Ardea Seal closure was designed to solve many of the problems associated with seals made of natural cork materials. For example the seal eliminates TCA tainted wine, provides variability of the oxygen transfer rate and prevents chemical contamination and crumbling or breaking of the closure when opening the bottle. However, in today’s world where wine makers take pride in having vineyards that are certified organic, biodynamic, use no insectides or pesticides and practice minimal manipulation of the wine it is difficult to image them using synthetic, high-tech corks…but, they are and we encounter Arden Seals more frequently every year. The Ardea Seal in the photo came from a bottle of Chenin blanc from the Loire Valley in France. As a final thought…the only job of any “cork” is to keep the wine preserved as the wine-maker intended. No one wants a plastic cork in a bottle of long-aging Bordeaux or Barolo, but at the same time no wine-maker needs to spend more than necessary on closures for wines that are going to be drunk young. If a wine is in good condition and drinks the way the wine-maker intended, the type of “cork” should be of little consequence…other than as a memento of the wine drinking occasion!! !